Find My Workspace lists over 95% of the executive office suites market in Atlanta. Simply click Request Quote to check pricing for one office, or Add to Basket for multiple offices. 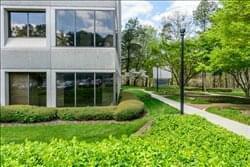 This center a professional office environment in the Northlake Office Park with a beautifully landscaped park & lake. Northlake Office Park includes 520,000 square feet portfolio of seven Class B office buildings in the Northlake office submarket. Tenants will also enjoy on-site property maintenance, management and leasing, outdoor patio seating, and 24-hour secure key card access. Close to Northlake Mall and easy access Briarcliff at Lavista. In this highly innovative and exceptionally inspiring working environment, the work stations are fully equipped with everything a professional occupant could need. 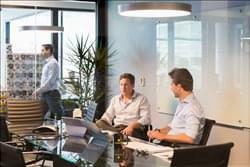 Chose a private executive suite or the popular co-working option, to work in a collaborative and supportive environment. The center offers fully furnished offices with the use of meeting rooms and business lounge area, and also includes a fully stocked kitchen area with tea, coffee and filtered water. Overlooking the Atlanta Braves Major League Baseball team home ground, feed off the exciting and energetic surroundings to help your business grow. .This center is located in Atlanta’s preeminent live, work, play community as the Home of the Atlanta Braves baseball team. It is beautifully designed streetscapes and views from your office space. With thriving social and professional hub of entertainment and retail. You have the opportunity to collaborate with like-minded individuals and entrepreneurs as well as small business owners. The energy at this space is like no other. The on-site management team is there to help with all of your business needs. Stop in another location with your worldwide access membership and do business from anywhere. A professional Class A office environment with an upgraded polished granite and marble lobby to welcome tenants and their clients. This property provides quality, affordable office space with free space planning. Tenants will also enjoy access to on-site property management, leasing, ample surface parking, on-site security, and 24-hour secure key card access. Opening in November 2017, this workspace is located in a historic warehouse building that has been completely renovated. The beautiful interior consists of an industrial style design, with exposed brickwork and an abundance of natural lighting through large windows. The center offers members amenities such as; phone booths, local snacks everyday, fresh tea and coffee, conferencing facilities and a new mothers room for moms that want to work. The center also has a restaurant on-site and offers both private space and coworking options – making sure that there is something for everyone in the fantastic space. This center also offers a programme called Canvas; which allows you to create a work environment your employees will love. Built for teams of up to 40, it’s a move-in-ready solution that blends the privacy and customization of a commercial lease with the inspiring atmosphere and flexible terms of coworking. Canvas has everything your team needs to be comfortable and productive, including ten-thousand of shared conference and event space, huddle rooms, breakout areas, and a private cafe. All-inclusive pricing eliminates unexpected construction, furniture, and operating expenses. As part of Industrious, Canvas suites are fully-managed to boutique-hotel hospitality standards, with complimentary amenities including premium food and beverage, internet, unlimited copying, community events, and use of 30+ locations across the US. This is the perfect building for startups and small businesses with offices and a warehouse area. To help your business grow, many services are offered onsite, including shipping, storage, fulfilment and free marketing. Thanks to the shipping volume, the postage rates will always be cheaper than shipping directly with USPS / Fedex or DHL – Domestic or International! The warehouse is fully insured and alarmed with cameras, in a safe location. The parking is gated and always free, for you, and your guests. This space is a lakeside jewel featuring an on-site fitness center, conference center, and cafe along with Private offices, common areas, professional conference rooms, phone booths, and a mother’s room. his center offers many amenities to make comfort and work go hand and hand. In this exquisitely furnished and highly professional center location, prospective tenants will be strategically located in the very heart of the region’s corporate perimeter, one of Atlanta’s top sub-markets. 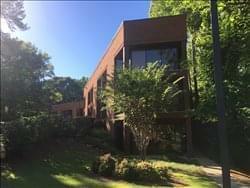 Situated between Sandy Springs & Dunwoody makes this the perfect location for your business. This office space offers free parking in a class A business environment & secure building with 24/7 access. Flexible terms with furniture, internet, utilities and janitorial service included. Access to conference rooms, VOIP phone and live phone answering, plus a business lounge, fitness center, beautiful courtyard & cafeteria. This center offers both private and co-working office options in a beautifully designed space. The center offers members access to conferencing rooms, beautiful common spaces, private phone rooms for confidential calls and a mother’s room. This historic building is designed to give a loft-style feel, full of natural light and offers members access to local craft coffee, pastries and treats to keep your team going and an abundance of on-site parking. This center is situated in one of the largest business hubs in the region. It has the award-wining campus with stunning views of the lakeside for perfect preparation for collaboration with colleagues. Take the chance to plug into the dynamic community and be inspired by he professionals in this center. From start-up’s to the Fortune 500 companies, you will create a network of professionals unlike any other place. 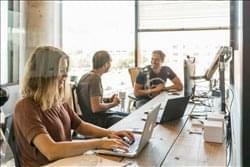 Accelerate your business and stop in to talk to one of the on-site management members to help you make the best business decision for you with one of the coworking or private office options. A shared office environment with a full range of services and amenities to enhance any professional need or requirement. 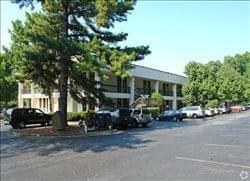 This center offers a two-story, 4-building office park with 24-hour access, a prime Central Perimeter location with easy access to GA 400 and I-285, plentiful parking, a conference Room, a private keyed mailbox, daily janitorial services, full utilities and an on-site café. Executive Offices, Meeting Rooms and Workstations available with a high-speed internet connection and good cellular service on the property. There is ample parking and easy access to 400 with convenient walking to nearby restaurants and shops. All offices have window access with good natural lighting. The offices are spacious and ideal for an executive or small business looking to grow smart without long term leases. This center offers a range of office spaces, suiting all business needs. With 24-hour access, plentiful car parking, conferencing facilities, IT Support, and meeting room availability, this business space is well equipped to fulfil your requirements. The center is located in a suburban location, yet is close enough to the city and nearby amenities to offer the best of both environments. Located in the highly popular and locally renowned area of Buckhead, right across from Lenox Square Mall, less than a mile from Phipps Plaza. Fully secured building with keycard access for after hours. Convenient parking attached to the building. Half a block from Lenox Center MARTA station. Walking Distance to great hotels such as the Ritz-Carlton and Marriott. Offices are equipped with internet & furniture. VOIP phone and live phone answering are available. We can also provide offices without amenities if desired. Our Buckhead location has multiple conference rooms equipped with the latest presentation equipment. Tyrone has been rated as one of the safest communities in Georgia. With this in mind, this space was created for the Professional Business Professionals to have a safe and secure work environment to include Virtual and daily use offices. This center is a professional Class A office environment. This property provides quality, affordable office space with free space planning. Tenants will also enjoy access to on-site property management, leasing, ample surface and garage parking with covered walkways, on-site security, and 24-hour secure key card access. It is located in Northwest Atlanta, near Cobb Galleria Centre and Dobbin’s Air Force Base with easy access to I-75 and I-285. 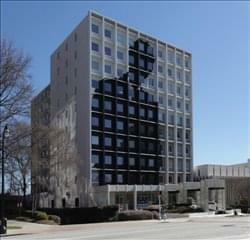 This Center is a professional office environment with a beautifully landscaped park & lake. This space includes 520,000 square feet portfolio of seven Class B office buildings. 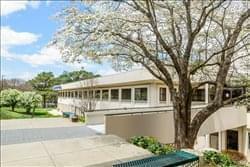 This is a professional office environment with a beautifully landscaped park & lake. This area includes 520,000 square feet portfolio of seven Class B office buildings in the office submarket. Tenants will also enjoy on-site property maintenance, management and leasing, outdoor patio seating, and 24-hour secure key card access. Close to Northlake Mall and easy access to Westwood College & Briarcliff at Lavista. 520,000 square feet portfolio of seven Class B office buildings in the submarket. 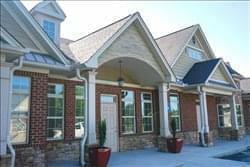 Conveniently located at the intersection of Interstate 285 and Lavista Road, just 15 miles (20 mins.) northeast of downtown Atlanta, This Office Park provides easy highway access. Numerous restaurants, retailers, and hotels in the immediate area. Tenants will also enjoy on-site property maintenance, management and leasing, outdoor patio seating, and 24-hour secure key card access. Close to Northlake Mall and easy access to Westwood College & Briarcliff at Lavista. This is a professional office environment with a beautifully landscaped park & lake. This Office Park includes 520,000 square feet portfolio of seven Class B office buildings in the submarket. Tenants will also enjoy on-site property maintenance, management and leasing, outdoor patio seating, and 24-hour secure key card access. Close to Northlake Mall and easy access to Westwood College & Briarcliff at Lavista. Class A Building. Located in the heart of Midtown Atlanta. Conveniently located near MARTA. 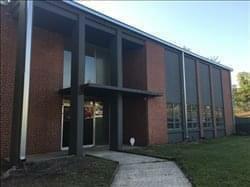 12000 square feet of space and thirty offices ranging in size from 100 sq.ft. to 300 sq.ft. 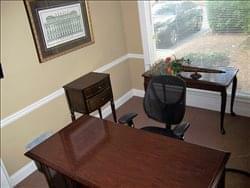 Offices include internet, professional receptionist services & furniture. VOIP phone and live phone answering are available. Offices also available without these amenities or only the amenities desired. Multiple conference rooms ranging in capacity from 2 guests to 175 guests equipped with the latest presentation equipment. This technologically powered and highly innovative professional business center offers fully furnished executive suites, open-plan office space and co-working areas. The center also features meeting rooms of varying sizes, a kitchen area and a business lounge. The relaxed and collaborative environment of this center is perfect for those who don’t want the formal feel of a standard office, and also for those who wish to work in communal areas with like-minded innovators. The center also holds regular client appreciation events, perfect for networking with other professionals who also work within this space. This innovative workspace offers both collaborative working and private glass office space for up to five people, catering for multiple business needs. The center offers amenities such as an on-site cafe with tasty treats and coffee to keep you going throughout the day, a mother’s room, beautiful lounge areas and huddle rooms. The center offers fantastic views that stretch out across the city. 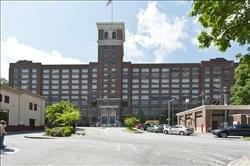 This center located n the heart of Atlanta’s premier urban districts gives off a trendy and upbeat vibe. With a dynamic and creative community, this center is perfect for entrepreneurs, start-up’s and small business owners. There are a ton of motivated individuals looking to ignite their creative and do it in the very home of this center. This space provides a flexible coworking option to collaborate in the common areas or at a dedicated desk, along with private office options for a one person or larger team looking to grow. There is access to centers worldwide, on-site management support, meeting rooms, conference rooms and high speed internet and Wifi to ensure you’re getting the job done. Hi-rise building in the heart of Downtown Atlanta. MARTA stops inside the building. The Atlanta Street Car also stops at the building. The offices include internet and furniture. VOIP phone and live phone answering are also available. Office space without amenities available if desired. There are multiple conference rooms to choose from equipped with the latest presentation equipment. This center has over a dozen restaurants inside the building to choose from. There are also hotels and a fitness center physically connected to the building. 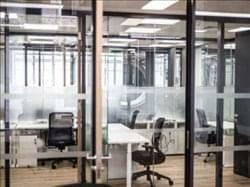 This center is offering a new way for businesses, both established and growing to work, offering how people work private in private glass offices as well as options in an open collaborative space with great common areas, a relaxation room, an indoor park and a secret room. The space is situated in one of the newest developments in the area and offers great business opportunities for collaboration and innovative working. This space provides a professional Class A office environment. This property provides quality, affordable office space with free space planning and tenant apps via website. Tenants will also enjoy access to on-site property management, maintenance and leasing. Amenities include common conference room, tenant center, ample surface parking, on-site security cameras, and 24-hour secure key card access. River Exchange is located within the Norcross/Sandy Springs area, with easy access to 400, 85 and Peachtree Industrial.